Dr. Breckley holds a Bachelor of Science from Susquehanna University. 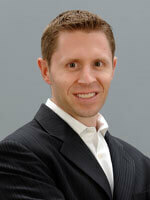 He earned his DMD from the Temple University School of Dentistry in 2003. 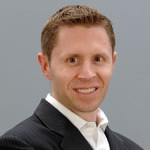 He is an active member of the American Dental Association, Georgia Dental Association, Northwest District Dental Society, and a graduate of the Mercer Mastery Program. He is also a member of two local dental study clubs. A four-year letterman on Susquehanna’s varsity basketball team, he is an avid basketball player and golfer. Dr. Breckley is practicing exclusively at 32 Dental on Chastain Rd. "Such a great office! Each staff member is so kind and helpful from making appointments to ensuring we were informed about procedures and insurance coverage! Couldn't say anything better about Dr. Breckley and Dr. Vo. Each of my kids love them and the kids have been at ease thru any appointment or procedure. Great hygienists as well!!" 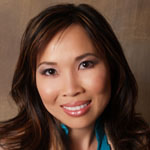 "Dr. Vo and Dr. Breckley are AWESOME and so are their staff. I've gotten a lot of work done and have had a great experience every time. Definitely recommend 32 Dental if you are in the KSW area." "I LOVE 32 Dental!! I was absolutely terrified of going to the dentist before going to Dr. Vo, but now I don't even bat an eyelash at having to go to the dentist. Absolutely outstanding practice all the way around, from Drs. Vo and Breckley to the hygienists and Diane and Robin who are there to greet you warmly when you arrive. Highly recommend!!" "We (my husband and I) moved to GA almost 7years ago and started with Dr. Breckley when we were due for dental check ups. At the time, our choice was based solely on the proximity of the office to our new home. We have been very happy with the care we have received and with the general friendliness and efficiency of the office staff. We have both had Steve as a hygienist from the beginning. When Dr. Breckley moved to the Chastain Road office we made sure to follow. We are seniors and our teeth are in pretty good shape and we want to keep them that way!!!" "Best Dentist by far. Dr. Vo and Dr. Breckley are very friendly and made me feel like a long time patient even though it was my first time. Diane and Robin at the front office are also excellent." "We followed Dr. Breckley from his previous practice because we wouldn't want to go to any other dentist. So happy we made the change...The reception staff is extremely friendly and helpful. Steve will gently do a great job of cleaning your teeth. 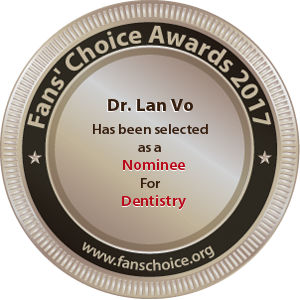 The entire staff is very professional and they make you feel comfortable which we all know is very important when visiting a dentist."